Welcome to Reeves Home Place Farm Bed & Breakfast. Our farm has been in the Reeves family for over 180 years and is located on the Madison/Buncombe County line, in an area known as the beautiful Sandy Mush, North Carolina Community. 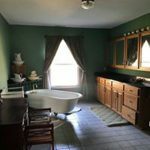 Our original farmhouse Bed & Breakfast offers four bedrooms, located on the 2nd floor floor and share a full bathroom which includes a shower, sink, toilet, and claw-footed tub. The main floor includes the parlor room, dining area and half bath. Stay includes Appalachian Farm-to-Table Breakfast. Tent camping is available on property. We also offer farm workshops, floral designs, massage therapy, special events, tours, and yoga classes. 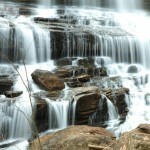 ​Bring your tent and setup camp on the 100-acre bald. It is a pristine piece of land that sits atop a mountain in Madison County, NC with spectacular views of downtown Asheville and surrounding areas. Campers will enjoy being secluded on a piece of land that has been nearly untouched by human or machine hands for over 7 generations. Be advised that to be able to camp on the 100 Acre Bald campers will have to have a vehicle that has 4WD. Breakfast is NOT included. Fires are allowed. No potable water available. Pets are allowed. Check In: 10 AM Check Out: 12 PM 10 sites available. Schedule a 90 minute massage! How would you like to learn about making soaps and lotions, or sourdough bread? Maybe you would enjoy learning about Chicken Harvesting? Come tour the farm. Help feed and groom the animals. Learn what a day on the farm is really like. Let our farm be the site of your special day, where together, we will plan your day from start to finish. We will work with you to determine your budget and develop ideas. Help you design, print, and mail out invitations. We will even take care of all hotel reservations & gift baskets for family and friends. Contact us for pricing! Homeplace Farm, offering chickens and eggs, pork, lamb, duck, turkey and beef. The farm also offers CSAs (community supported agriculture), sells at tailgate markets in the south and east Asheville markets, and is working on building a website for direct purchase. We are currently the 7th generation to live and farm on this same farmland and we feel extremely blessed to be able to do so. We raise our Black Angus cattle in order to provide high quality meats to our a growing customer base. We also added some greenhouses and currently provide Ingles Markets with Upland Cress that we grow hydroponically. Our farm is always growing and trying new things in order to be able to keep farming, because for us being able to provide for our family and our community is the best thing that any farm can do.